A full history of the nursery is available in the book "Rivers Nursery of Sawbridgeworth" published in 2009 by our own Elizabeth Waugh based on our archives of the family business and interviews with family and former employees. A few copies of this book are available to buy. RHSO members are available to talk about the history of the site to other local groups. Contact the committee if you are interested. Rivers Nursery dates back to 1725 when it was established by John Rivers who came to Sawbridgeworth from Berkshire. The very significant influence of the Rivers family on the history of Sawbridgeworth is permanently acknowledged and enshrined in the town's coat-of-arms which depicts a fruit tree garlanded with attractive blossom. Thomas Rivers (1798-1877) took over the thriving family business in 1837. He became one of the most respected pomologists of all time. He corresponded with Charles Darwin on botanical matters and worked closely with Robert Hogg, whose status in the fruit world is second to none. Thomas Rivers developed a plethotra of horticultural techniques, was an early pioneer of fruit cultivation under glass, developed many fruit and rose varieties and helped restock the Californian orange industry. He authored many books on fruit and rose culitivation that still sell today. 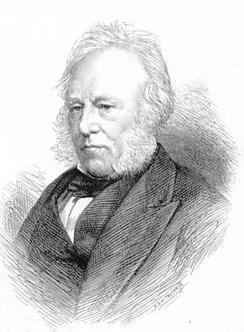 His son, Thomas Francis Rivers (1830-1899), continued the introduction of new cultivars. The fruit varieties introduced by Rivers Nursery are numerous and include the Rivers Early Peach (apple), the Thomas Rivers Apple, the Late Transparent Gage, the Czar plum and the renowned Conference Pear. All these fruit varieties (and many others) can be found in the Rivers orchard today. The Thomas Rivers and Son Nursery declined through the the 20th centuary and was sold at the end of the 1980s as it was no longer commercially viable due to the rise of supermarkets. At the height of its prosperity in the late 19th century, land owned or rented by the Rivers family for horticultural purposes amounted to approximately 400 acres. It is a remarkable fact that the 21st century remains of the orchard is only one-hundredth (1%) of this figure. It is a very significant part of the 'green lungs' of Sawbridgeworth, whose residents enjoy its appeal on many levels. Every effort must be made to ensure that this haven of enormous bio-diversity attracts, and is given, higher levels of security and stewardship.